As the end of the year draws near more and more kids are getting ready for tests and end of the year projects. Your child may also be preparing for that annual spring science fair. We all want our children to succeed in school and land an A on that project which took hours to complete. What can you do to help your child do his very best on the big school project or science fair? Recently I spoke with Michele Demsky from Artskills, a company that specializes in poster making, about how children can create that award winning science fair project or get an A on the end of the year school project. Michelle came from a musical background and she compares creating a project to playing an instrument. Drawing and creating quality artwork takes practice. She explained that with most school poster projects, including science fair projects, children are graded on the presentation. Artskills believes that you can make posters work. Their website is the only one in the world that has examples of hand made posters. You can find a complete gallery of posters, instructions on how you can make your letters strait and a variety of other creative ideas at Artskills.com. 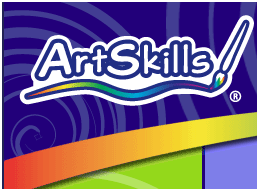 Artskills.com also has tools for parents. Picture this: it is Sunday night, dinner is over and the dishes are done. You and your spouse are resting on the couch watching your favorite show on television and your sixth grader approaches you with this, “Mom I forgot about this big school project that is due tomorrow.” Does this sound familiar? Artskills.com has ideas to help you design the poster and you can print your shopping list so that you and your child are better prepared for that major assignment. Below are some tips to help your child make an award winning, A+ poster. Try to have more than one evening to prepare. If your child is participating in a science fair pick a topic that she will be interested in. Always remember that kids don’t usually understand how big a project for a science fair really is. They will be required to show the experiment or how it is done. Sometimes children chose topics that are too lengthy. If your child does this Michelle suggests that you pick a piece of the topic and have your child expand on it. Start the project early and create a weekly calendar. Discuss the goals of the project with your child. For example, on Wednesday we will go shopping for supplies and on Thursday we will be doing the experiment. Make sure your child stays on task. If your child is preparing for a science fair make sure he shows the whole experiment. If you are looking for more creative ideas on how to make that A+ poster or award winning science fair experiment visit Artskills.com. Ah yes, the science fair. Allow at lest 1 month for prep work (s/b 2!) for these when your kid is older like Middle School. Been there, done that. Pressure, pressure, pressure. Fierce competition out there.